The current SAP SA management team was put on administrative leave pending the findings of the review. Global software giant SAP has appointed Claas Kuehnemann as acting managing director for Africa while the company's investigation into its South Africa business is conducted. It also placed the current SAP SA management team on administrative leave pending the findings of the review. Kuehnemann, who has been with the company since 1992, will assume all managing director responsibilities across the company's Africa portfolio, totalling 51 countries. 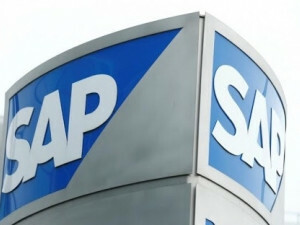 The company says his track record with SAP dates back more than two decades from when he first started the newly formed SAP subsidiary in South Africa. "Claas is a veteran SAP executive who has held various senior leadership positions throughout the company across different geographies - he has the full backing and trust of the SAP Executive Board," says Adaire Fox-Martin, executive board member for global customer operations, who earlier this week flew to SA to oversee the investigation and ensure complete business continuity. Kuehnemann has held various executive roles at SAP, including senior vice-president of Professional Services overseeing SAP's consulting business in EMEA based in Paris, MD Africa based in Johannesburg as well as MD for the South-East Europe & Middle East region based out of Dubai. "The SAP Africa management team will continue to deliver on its promise to help African business run optimally," says Kuehnemann. "My interim role is to support our employees, customers and partners across all our business sectors while the due diligence process is conducted." Peter David, regional chief financial officer, SAP EMEA will support Kuehnemann as acting CFO, SAP Africa.